In a subsequent reshuffle of fighter squadrons No. 409 was moved from Coleby to Acklington, Northumberland, in February 1943. Their new role was to defend the approaches to the industrial area of Newcastle which the Germans had already favored with two heavy air raids and many minor ones. But henceforth the Luftwaffe kept well to the south of this sector and 409 put in a rather quiet year with few operational events to record. Not until after D-Day did they have as much excitement as they had in the summer of 1942. 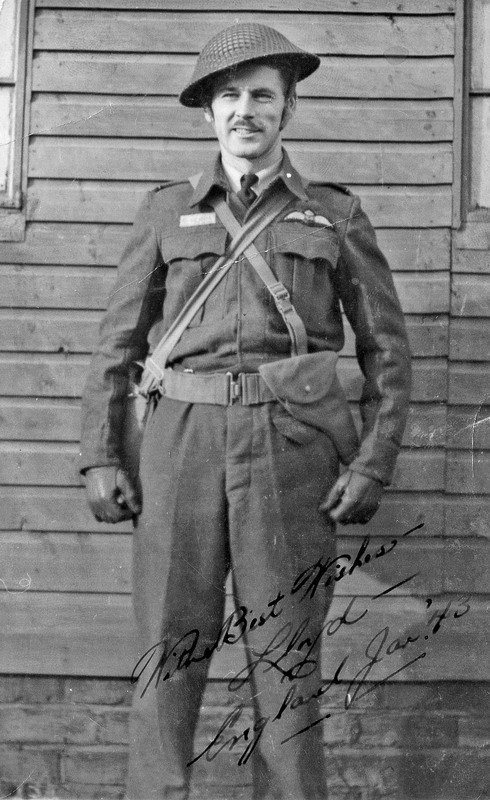 Before the Nighthawks moved from Coleby, W/C Davoud received the DFC for his fine work with the squadron. On 4 February he flew his last patrol with 409 and departed to head No. 418 (Intruder) Squadron. His successor was W/C J. W. (“Wendy”) Reid of Sydney, N.S. who was only 24 years old when he took up his new command. 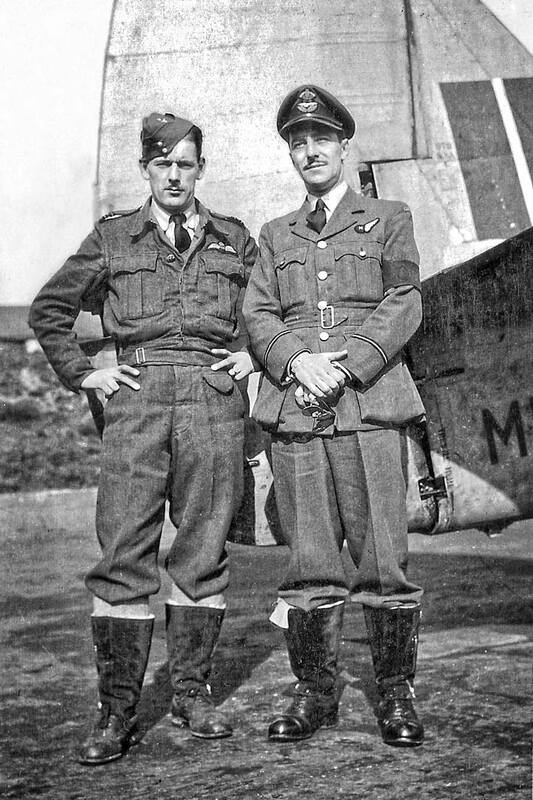 He already had a lot of flying behind him, having soloed at the tender age of 17 years and had logged over 1000 hours with the RAF flying Liberators across the Atlantic. in fighting trim with a rigorous training program. In addition to the various flying practices the pilots put in long hours studying aircraft recognition while the navigators delved deeper into the mysteries of airborne radar. Occasionally night fighters were called from their regular patrol duties to search for lost aircraft. Dad does not remember on which airfield this was taken but he remembers it being in the North. 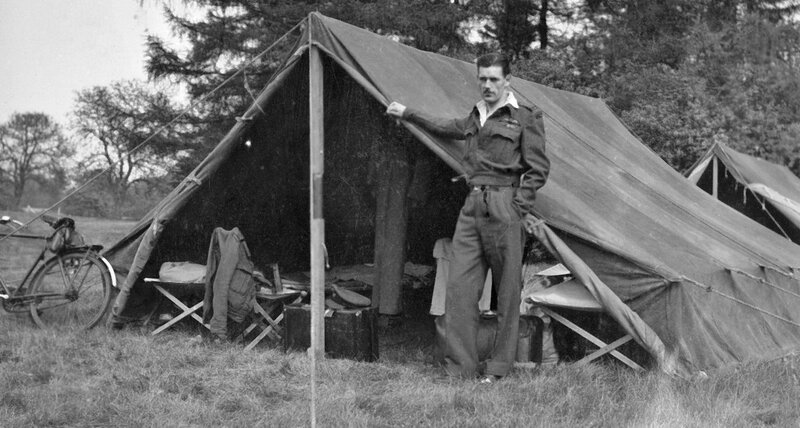 Further south in England they were in barracks and not under canvas. Dad and Joe standing by the rudder of MM560 a.k.a. “the Gooser”. 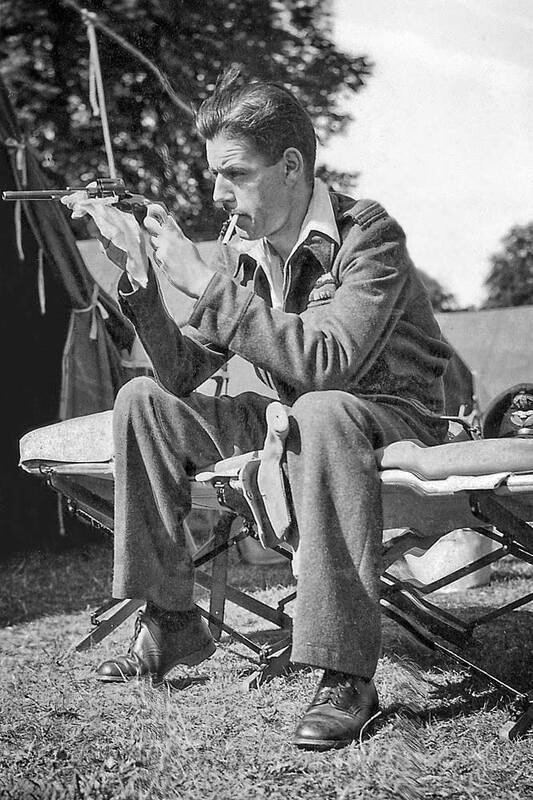 Aircrew carried a sidearm and were required to demonstrate a basic proficiency in its use. 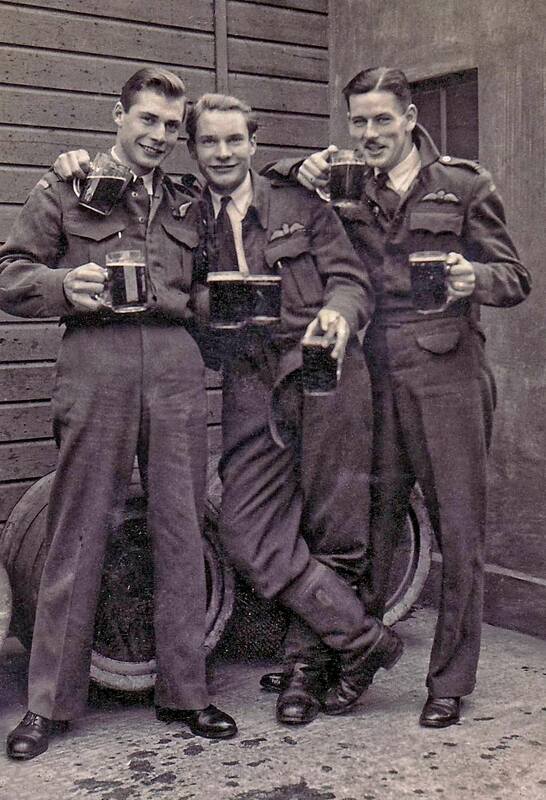 To offset the inactivity at Acklington, detachments of two or three aircraft were sent to bolster other sectors but it seemed that as soon as the Nighthawks moved in, enemy activity ceased. The detachments at Coltishall and Middle Wallop flew a few Rangers (low flying sorties over enemy-held territory) on which they damaged a number of locomotives, trains and trucks. Two crews failed to return from these hazardous missions. Another aircraft was badly shot up by enemy anti-aircraft fire and the navigator, P/O E. V. Domone (RAF) was severely wounded in the right thigh. Suffering from intense pain and loss of blood, the plucky navigator carried on with his duties and worked out the return course for his pilot. After landing in England, Domone was rushed to hospital where it was found necessary to amputate his leg. He was later awarded the DFC for having displayed “courage and fortitude of the highest order”. Of course it was not all flying and shooting. There were moments for young men to just be young men and enjoy the moment. The man in the center is “Stinky” Taylor (Dad does not remember how he got that nickname) and the fellow on the left is his brother. We can tell from his wing insignia that the brother is not a pilot. Probably a radar operator/navigator. Dad recalls him being from a different squadron. “Stinky” was killed in a flying accident while the squadron was at Acklington.